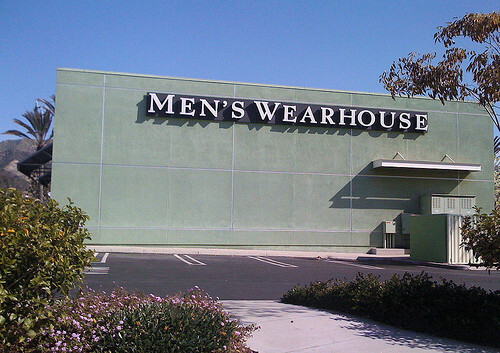 Men’s Wearhouse, for more than 40 years, has helped guys feel confident at every occasion. Aside from purchasing a tuxedo or suit in the store, all locations, whether you do it in person or online, allows you to rent one for any occasion. How much does it cost to rent a suit or tuxedo at Men’s Wearhouse? The costs to rent a suit or a tuxedo at the Men’s Wearhouse will greatly depend on the number of rentals you need at once and the style you like as the company offers a variety of rental options. In some cases, the company may offer a bulk discount for your wedding party, including a free tuxedo rental in some cases, for example. With so many options to choose from, we found that, through our research, the costs could range anywhere from $99 to $299+ per rental. The official FAQ, for example, claims most people end up paying anywhere from $150 to $200. NOTE: Use these figure as an estimate only as these prices can change if you were to alter the package the company offers. For more information, contact your local Men’s Wearhouse or consider creating an account on the official website to see pricing information. To start, you can either visit a local brick and mortar store or if you prefer, you can choose your look online, where you’re able to select the style, from the items to the suit colors. The company offers multiple brands, with hundreds of combinations available. The company carries popular brands such as Vera Wang, Joseph Abboud, Calvin Klein, Pronto Uomo, Joseph & Feiss and Wilke-Rodriguez. Next, the company highly recommends you visit a location to get measured or again, if you prefer to stay online, you can answer some questions online using the company’s Fit Evaluator, which only takes 60 seconds or so. Even if an item doesn’t fit when using the online tool, the company will send you a replacement right away if need be. Once measured and a package is chosen and customized, then your order will be processed and you will be able to pick up your rental at one of the company’s 700+ stores or even have it shipped to your home for free inside of the company’s proprietary wrinkle-resistant packaging. Your rental should arrive at least seven days before your event or about two days if picking up in store. When it does arrive, the company recommends you try it on right away to ensure it fits properly. Upon completion, you can either mail it back to the company or drop it off at a nearby store. The company asks that you return the order the day after your event completes. Upon renting, the company allows you to change any item in your tuxedo/suit rental, all of which is included in your rental fee, including the coat, pants, vest, neckwear, shirt, shoes, socks, and pocket square. As an additional option, albeit optional, you can add cufflinks, a satin flower and/or suspenders for an additional fee. If you prefer to have your suit/tuxedo shipping to your home rather than pick it up in store, then the shipping is free both ways. At the time of this publishing, the company would give you $30 off select tuxedo and suit rentals each time you rent when you sign up for the Perfect Fit® rewards program. When we signed up for an account, we were also presented with a “rent 5 tuxes, get a $400 shopping spree” promotion as well. Be sure to check out the official website to see if you can take advantage of any current promotions. The company, as per its FAQ, asks that you prepare your order at least four months in advance for weddings and 30 days for any other event. A $20 late fee per day applies if you’re late to return the rental. While minor damage will be covered by the company’s nonrefundable Damage and Handling fee, excessive damage beyond repair can result in a full replacement cost of the item charge.